Galloway Fisheries Trust carries out a wide range of research throughout the year. 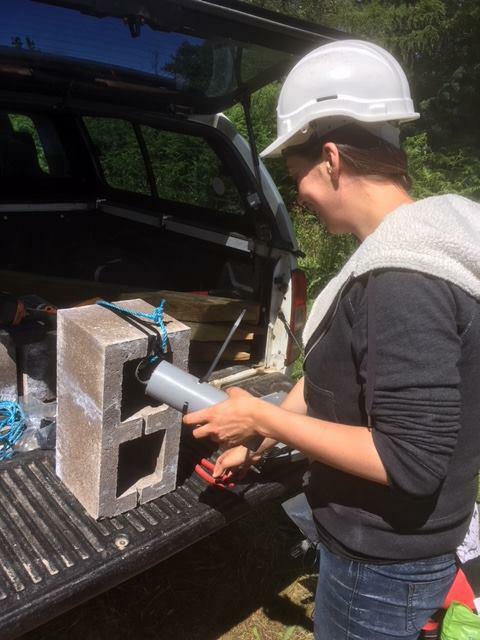 GFT staff are fully trained to undertake a range of specialised surveys. Surveys are undertaken for a wide number of purposes. The health and abundance of wild fish stocks need to be monitored regularly. Water quality, in particular acidification and siltation, may need quantified in areas at risk. Instream and riparian habitats can be mapped highlighting spawning beds, nursery areas and degraded habitats. 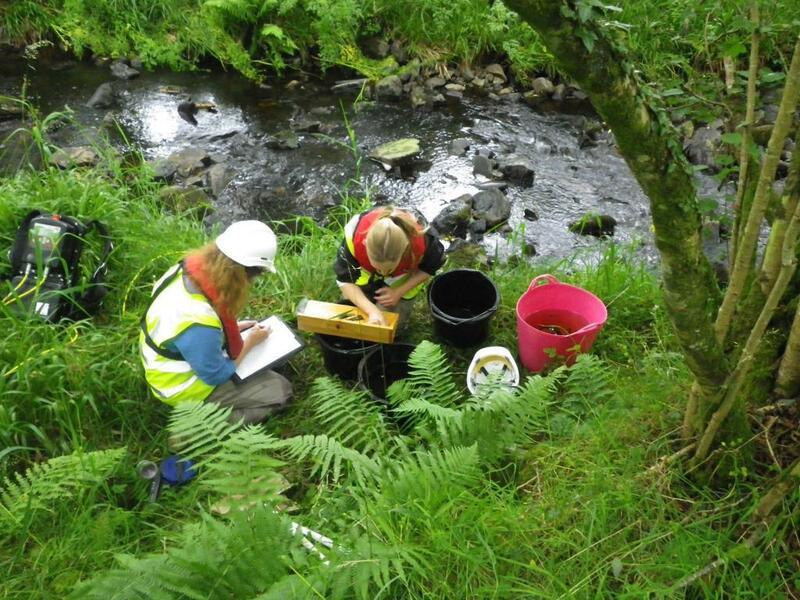 GFT has been involved in Site Condition Monitoring for sparling and salmon. 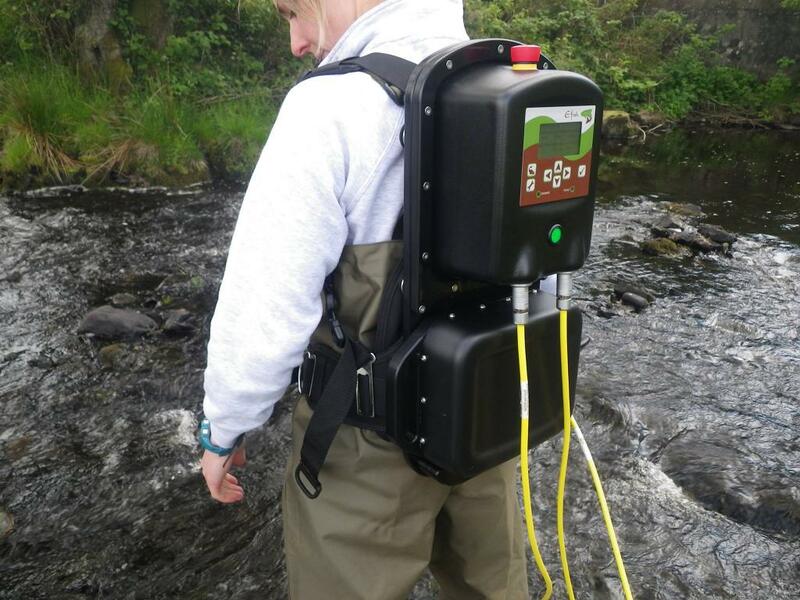 GFT undertakes a range of focussed electrofishing surveys for different fish species including juvenile salmonids, lamprey larvae and eels. Netting surveys, using gill nets, fyke nets and seine nets, may be used to provide important data. Commercial nets did play an important role in providing samples but most are now closed. A range of habitat survey techniques are used depending on the surveys purpose. 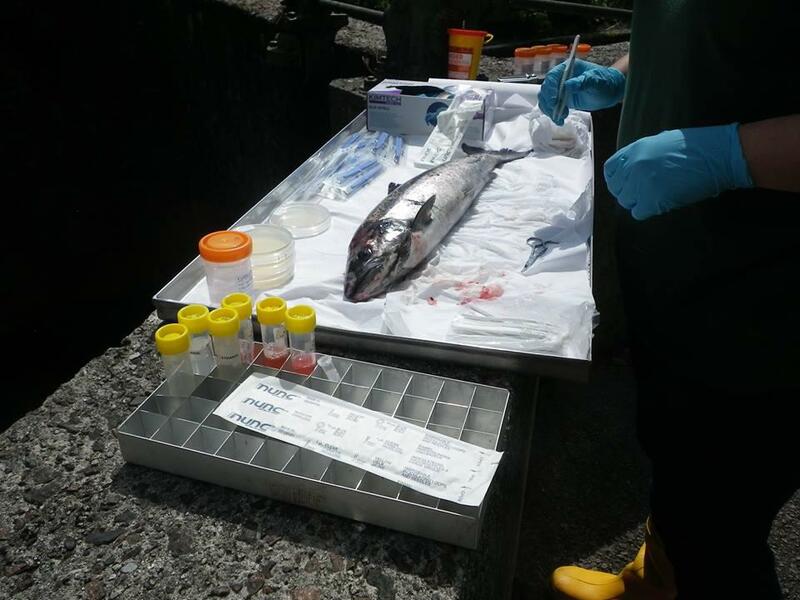 Disease and parasite testing is important to monitor the health of fish stocks. Growth rates and condition factors are also examined to ensure healthy fish populations are present. 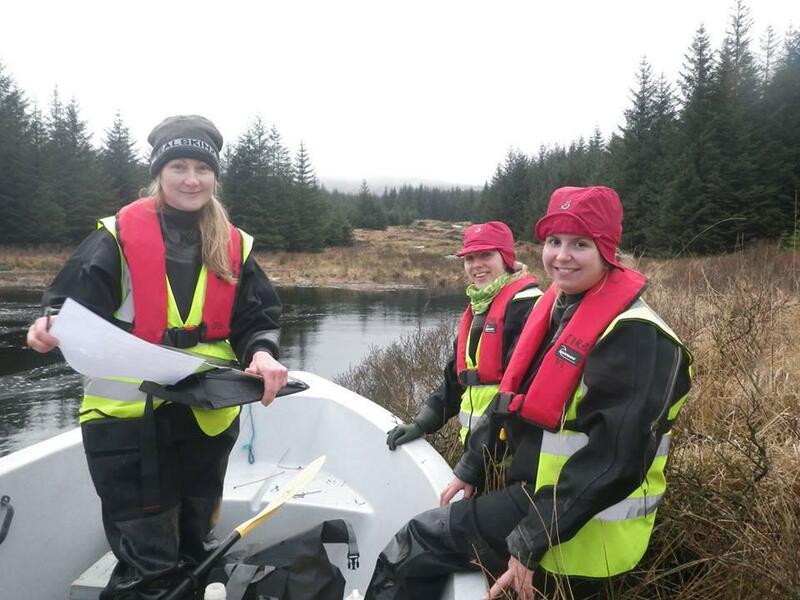 GFT also undertake various other specialised surverys including water quality monitoring, peat depths and drone surveys. 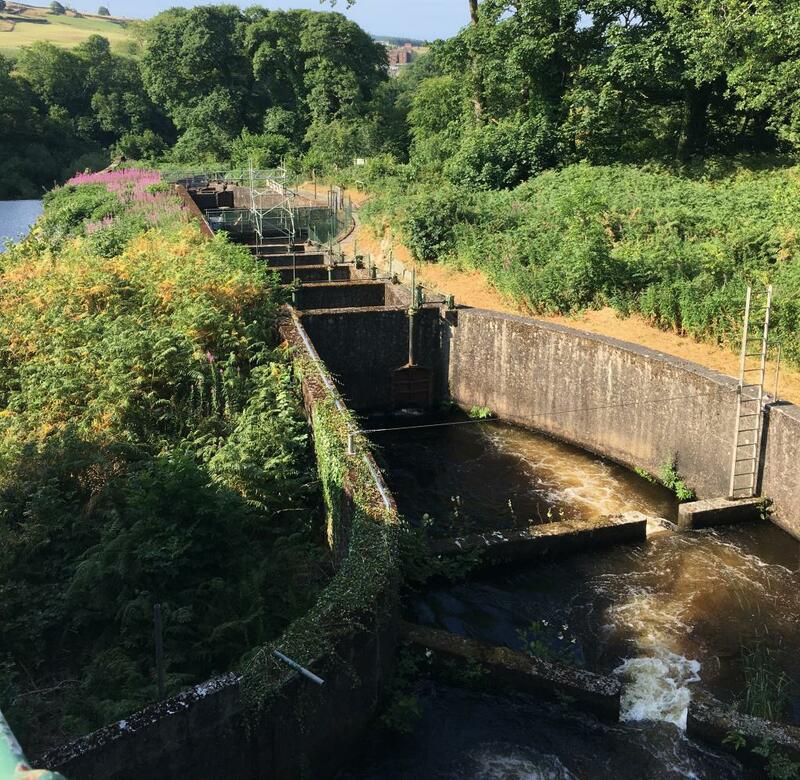 These surveys are undertaken to advise District Salmon Fishery Boards, inform fishery owners, direct and monitor restoration programmes, input to Environmental Impact Assessments, Site Condition Monitoring, research programmes and under contract. The waters of Dumfries and Galloway contain an abundance of fish species, more than any other part of Scotland. This includes a number of native fish species which are now considered rare. Most of these fish species are protected or listed under various local and international legislation. All are listed as UK Biodiversity Action Plan species. The GFT regularly undertakes extensive monitoring surveys of these rare fish. Where practical, enhancement work is undertaken aimed at stabilising and increasing these ‘at risk’ species. 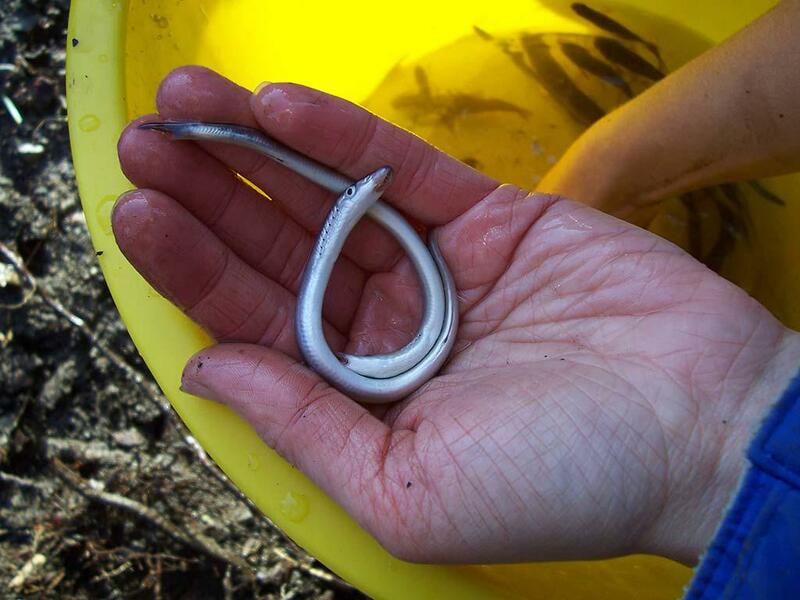 Sparling (commonly known as smelt), are found in the River Cree. This is one of only three populations in Scotland, and the only remaining one on the west coast. 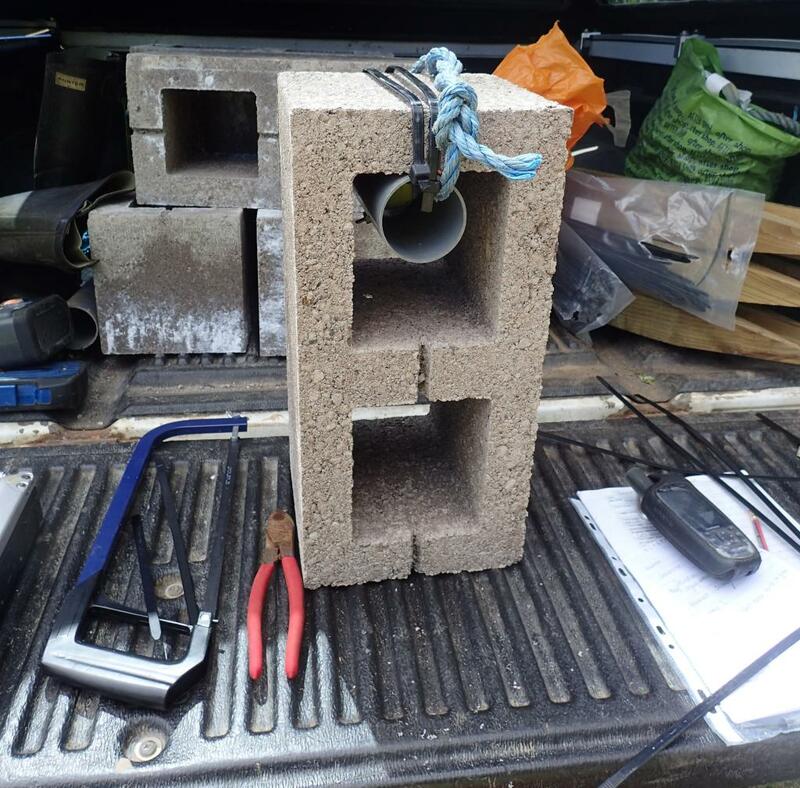 GFT has undertaken Site Condition Monitoring (for SNH), research on swimming speeds, radio tracking project, written a species action plan, provided genetic samples and undertook a reintroduction programme to a neighbouring river. Allis shad and Twaite shad are extremely rare fish. 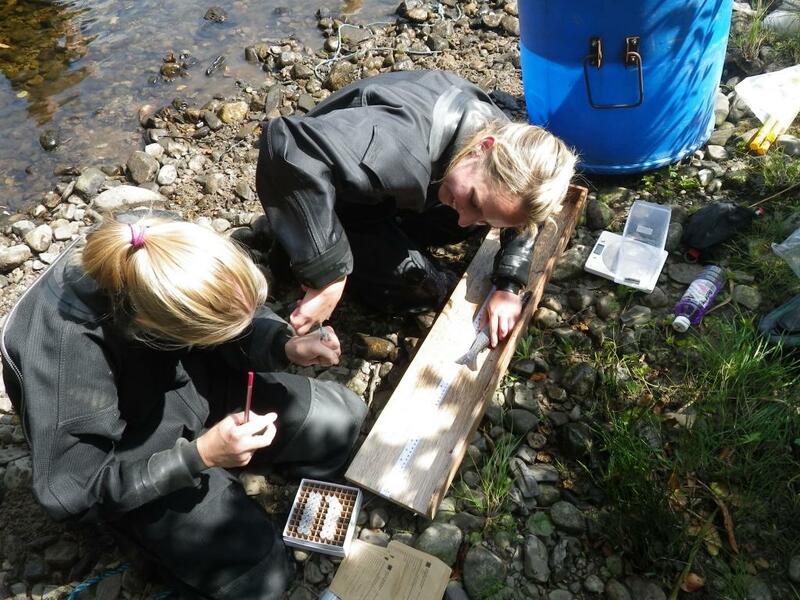 GFT has worked with the Fish Conservation Centre and local netsmen in the past to collect fish samples which are then analysed. Of particular interest, is that the spawning condition of the fish suggest that they spawn in or near the Cree, and possibly the Urr, annually around July. Lamprey species (brook, river and sea) are known to use most of the Galloway rivers. 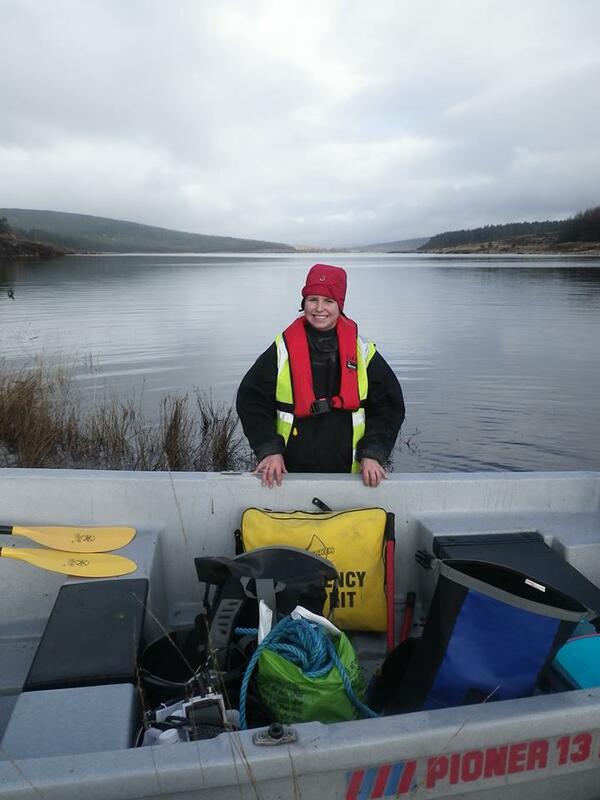 GFT has undertaken specialised juvenile lamprey surveys, collected data on spawning sea lampreys and capture samples of spawning river lampreys. 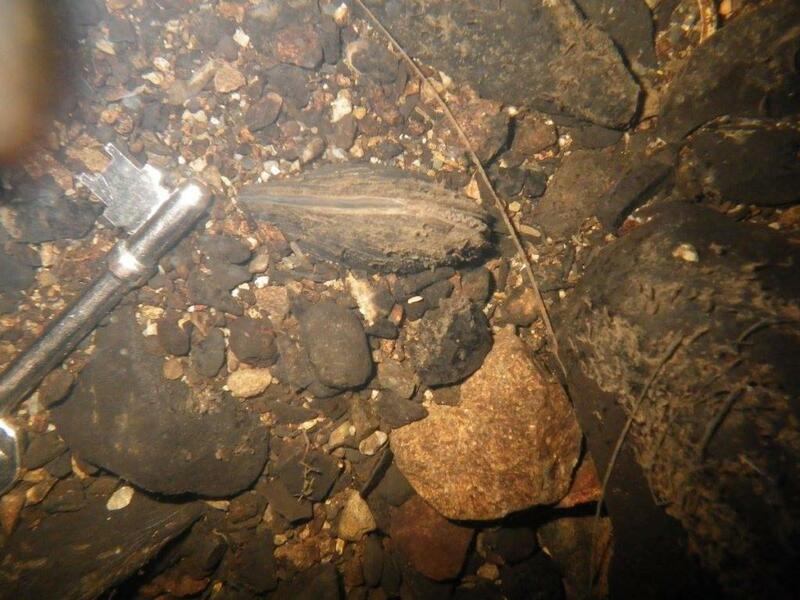 There are concerns regarding falling stocks of European Eels in the waters around Europe. 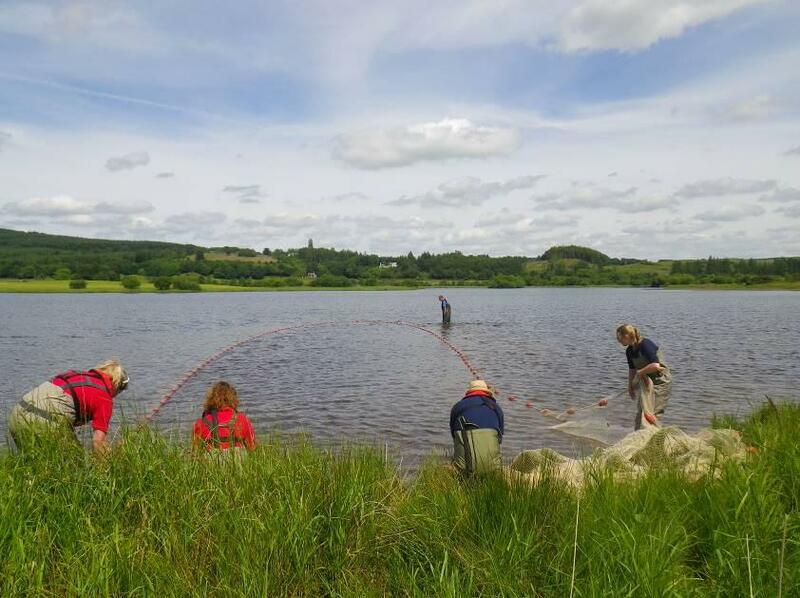 GFT was heavily involved in the writing of the Solway Eel Management Plan and are now undertaking a number of recommendations made by the plan to understand and protect eel stocks. Galloway is prone to surface water acidification from atmospheric deposition due to possessing poorly buffered underlying base-poor geology and soils, which are unable to neutralise acidic inputs. 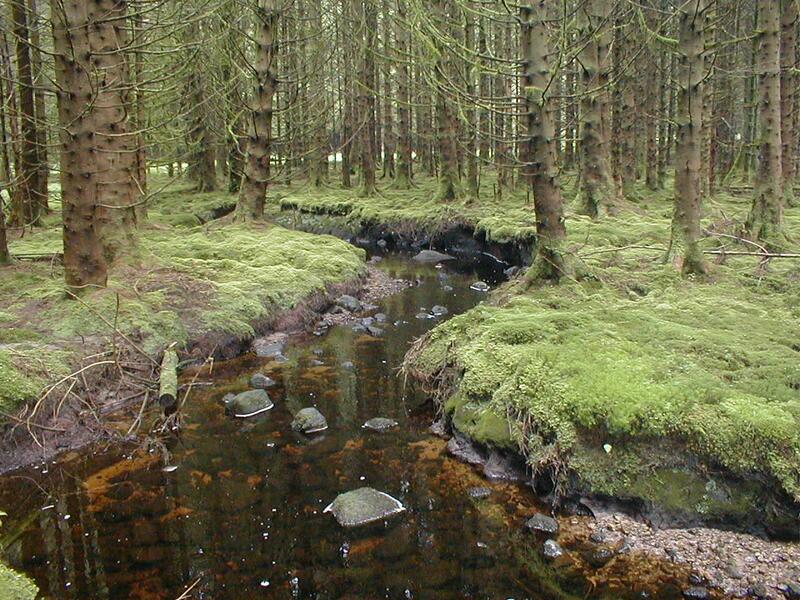 Forested areas exacerbate the process of acidification as coniferous trees are particularly efficient at scavenging pollutants and when peatlands are heavily drained for tree planting then acidifying pollutants are released into surrounding drains and water courses. Typically acidification occurs as an episodic event, closely linked to water flow. Prolonged acidic episodes are usually only present in headwater areas, although even here, pH levels will fluctuate depending on rainfall and water flows. The actual effects of surface water acidification on fish varies with each species. Salmon populations are particularly sensitive and research shows that if pH falls below 5.5, long term damage will occur. Juvenile life stages (principally eggs and alevins) are particularly sensitive. When the pH of a watercourse is low, toxic forms of aluminium may also be released, which may also lead to mortality of older fish. It is believed that approximately 70% of Scotland’s acidification is in Galloway. The worst acidified areas include the headwaters of the Luce, Water of Tarf, River Bladnoch, High Cree, Big Water of Fleet / Little Water of Fleet and Black Water of Dee. The Solway Tweed River Basin Management Plan 2009 state a total length of 242km of running water impacted by acidification in Galloway. 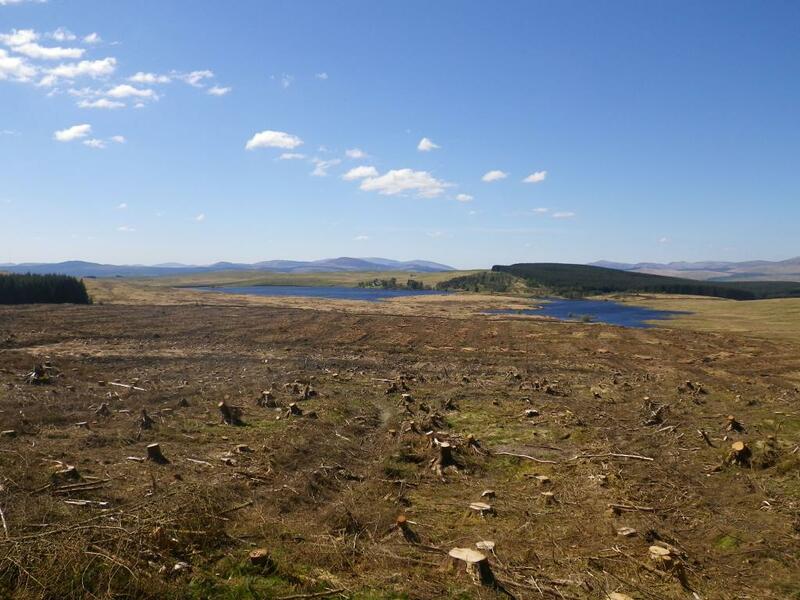 The majority of these areas are heavily drained peatland which are afforested with coniferous forestry plantations. In these watercourses GFT electrofishing results usually show severely impacted fish populations or the total extinction of fish. Salmon are very rarely found here even though historical information suggests that most of these upland waters were important spring salmon nursery areas. A lot of the work of the GFT is associated with monitoring and undertaking research associated with acidification. 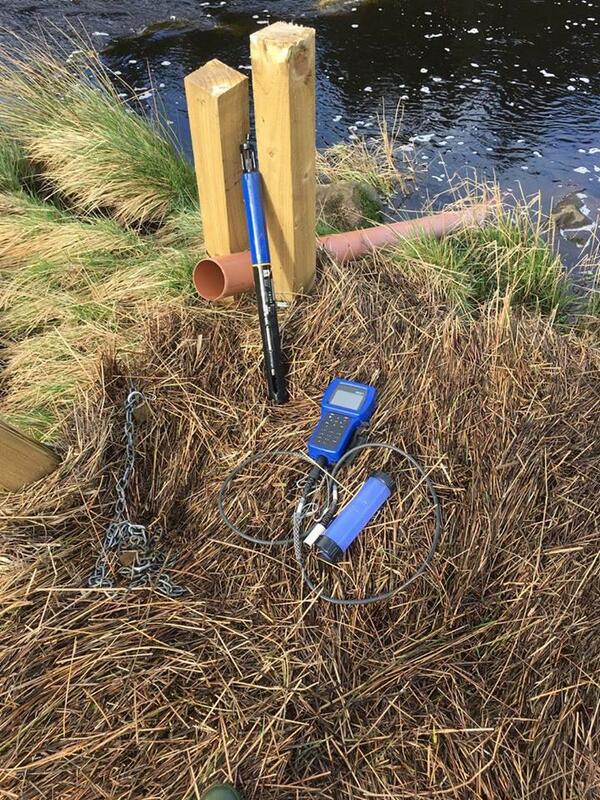 In spring time a water sample testing programme is also undertaken across the acidified areas. 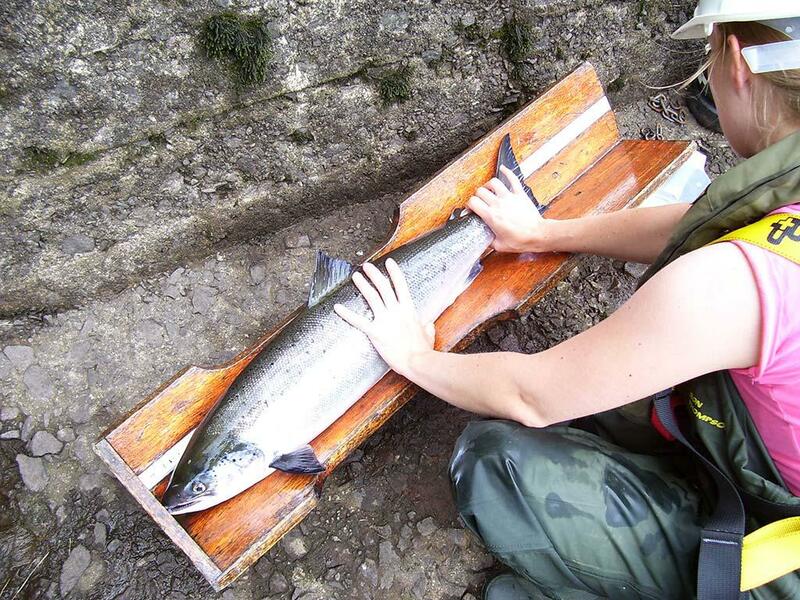 GFT egg box experiments examine impacts on salmonid egg survival. All this information is used to input and direct the restructuring of conifer forests in sensitive areas. Whilst a lot has been achieved there is still a lot to do. The Forest and Water Guidelines are the main control mechanism regarding conifer planting (both new and restructuring). In the Guidelines the Critical Load Analysis (CLA) is used to identify areas at risk of acidification and is meant to control replanting to ensure water quality recovers in the future. 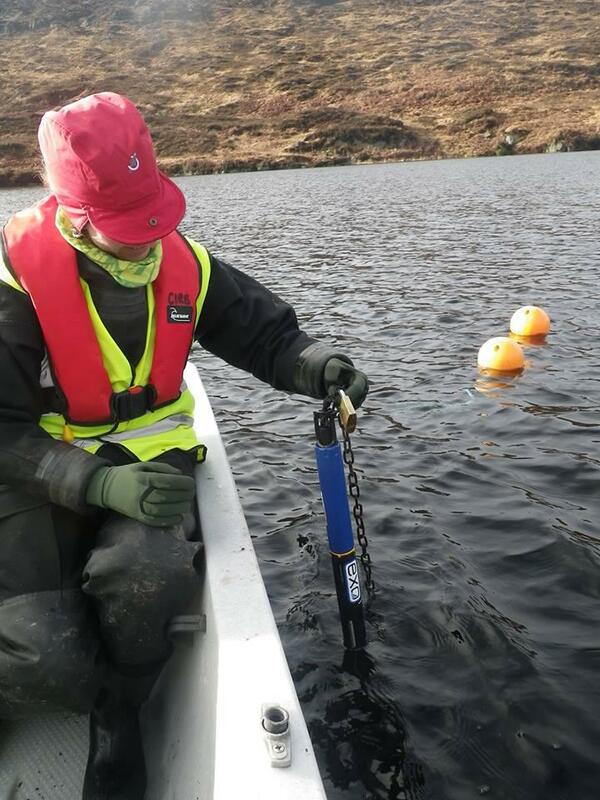 GFT and various other groups do not have faith in the present system though and are working to ensure CLA is refined to be more sensitive and to use biological data to ensure we get a full recovery of all acidified waters in Galloway. No new planting is allowed on peats which are over 50cm deep but replanting continues for now on deep peats. Genetics is becoming more popular as a tool for fisheries management and GFT has been involved in various genetics projects. 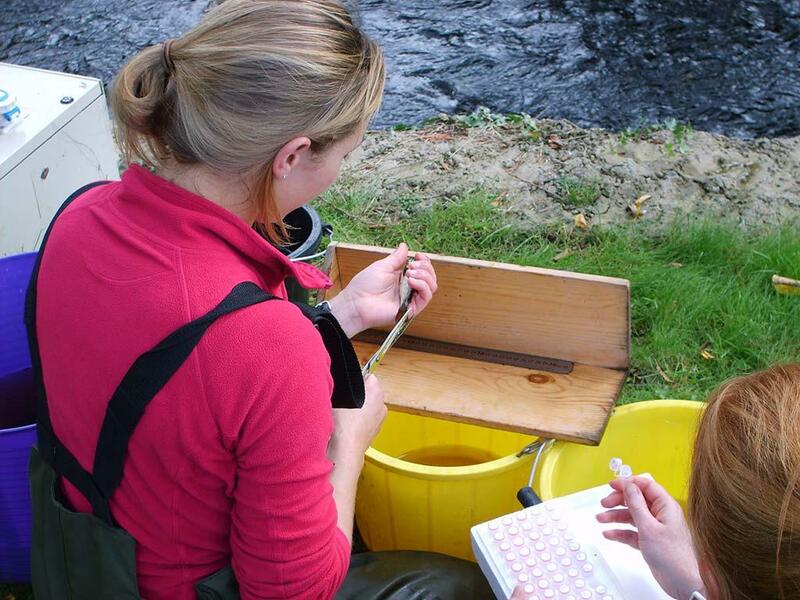 Genetic sampling is an exciting modern method of fisheries management that will provide us will invaluable information on fish in the local rivers, putting us at the forefront of salmon and trout management. 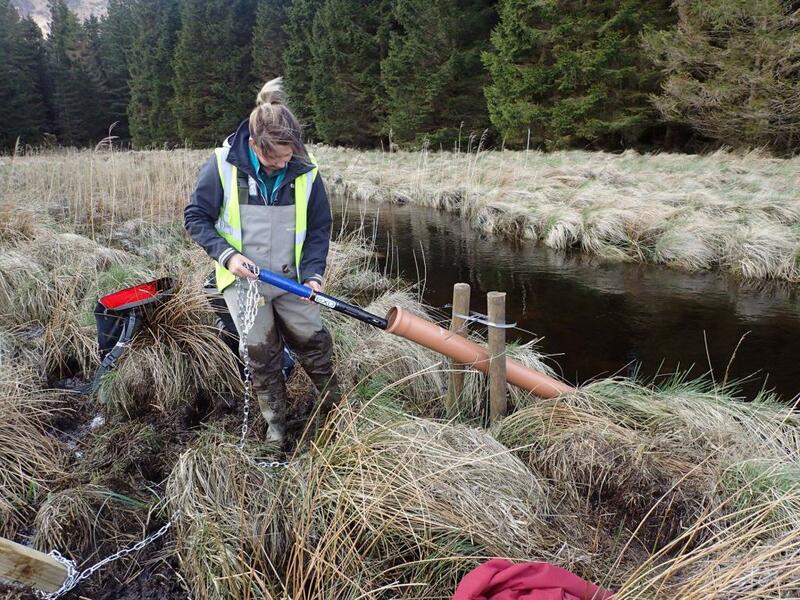 A recent development in genetic research is the use of eDNA to identify what fish species are present within rivers or lochs.